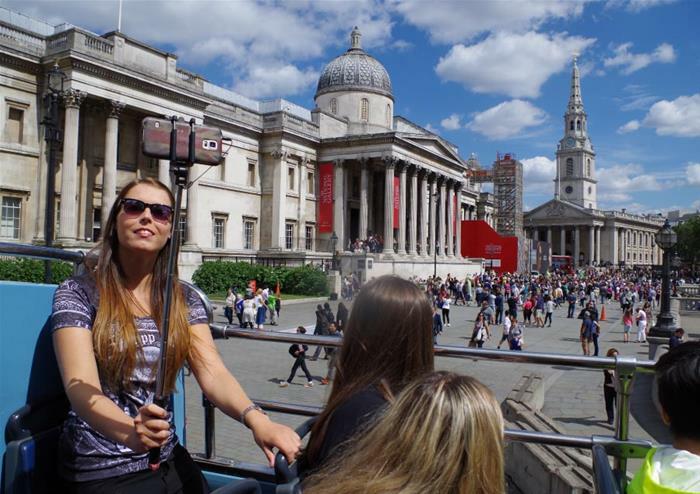 Enjoy London’s largest-serving hop-on hop-off bus tour for 48 hours! 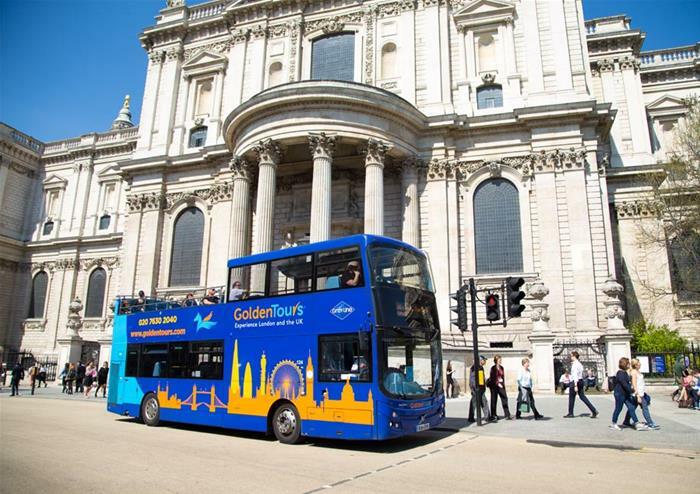 This 48 hour ticket can be used to hop on and off a Golden Tours bus at any one of our 60 stops across London. 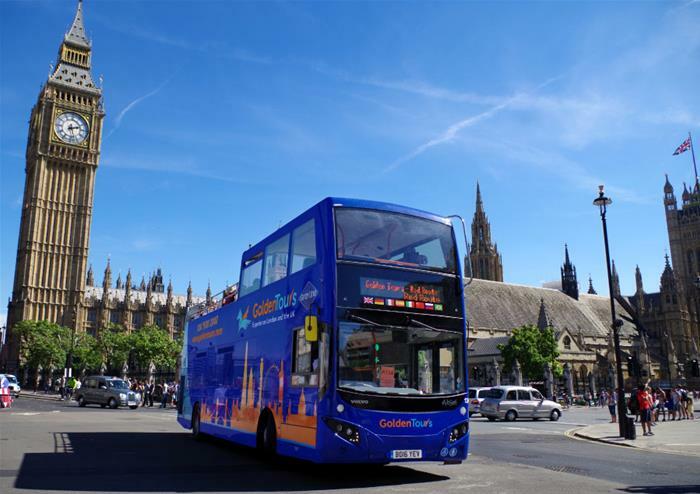 The popular route covers many of the capital’s most famous landmarks – see where it takes you! With the purchase of a 48 Hour Hop on Hop off Bus tour, you will also enjoy a FREE Walking Tour and River Thames Boat Ride! Exploring London on foot is one of the best ways to see the city up close! Discover the Royal Family’s favourite places to escape in the capital or observe where The Beatles worked and played.